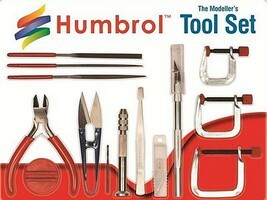 Shop online for 65 hand tool sets at discounts up to 34%. Zona Tool Co. is ranked #1 out of 17 hand tool sets manufacturers, followed by Excel Hobby Blades, and Squadron/Signal. 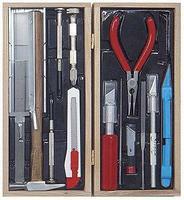 This is a Basic Tool Set from Tamiya. 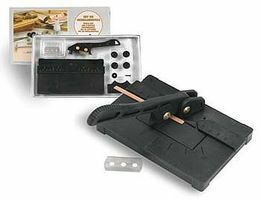 This is the Deluxe Railroad Tool Set from Excel Hobby Blades. 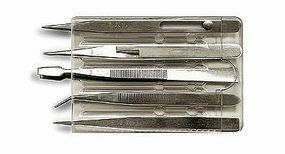 This is a Four Piece Sculpting Set from Squadron Tools. This is the Multi Cutter Set from Latina. Suitable for Ages 14 & Up. These are the Micro Shapers #1 from Artesania Latina. This is the 45-in-1 Precision Tool Set from Artesania Latina. This is the Hobby Knife Set from Excel Hobby Blades. This is the Midwest Carving Knife Set. This is the Hanging Drill Set (No.61 - No.80 Twist Drills in Despenser) (20pc) from Zona Tool Co. These are the Micro Shapers #2 from Artesania Latina. 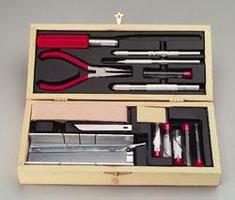 This is the Deluxe Airplane Tool Set from Excel Hobby Blades. 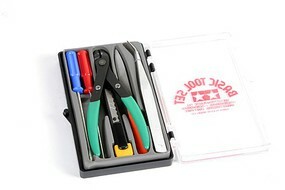 This is the Excel 11 Piece Mini Tool Set with Storage Case. This is a Four Piece Probe Set from Squadron Products. This is the Handyman Set from Excel Hobby Blades.